The NZXT CB 4-pin to 2 SATA premium cable is individually sleeved in a black enclosure to provide a sleek and elegant high-end look that seamlessly integrates into the case's interior. 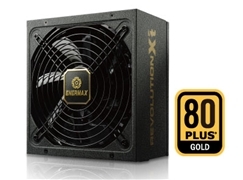 The additional benefit from incorporating these premium sleeved cables into your computer case is enhanced cable management which is crucial for optimal airflow. A less restricted air flow environment also helps to maintain a low noise level. 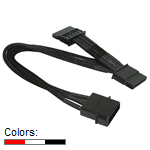 The NZXT CB 4-pin to 2 SATA premium cable SATA connectors - black. The NZXT CB 4-pin to 2 SATA premium cable SATA connectors - red. The NZXT CB 4-pin to 2 SATA premium cable SATA connectors - white.